Dissolve yeast in 1 tbsp water. Grind cooked rice and grated coconut to a smooth paste and add to the rice flour. Add the dissolved yeast and 1 cup water to the mixture. Mix well with hands. Keep the batter overnight in a warm place to ferments. Grind shallots and cumin together in a grinder and add to the batter just 5-10 minutes before making appam. Add salt and sugar, mix well. Heat a non stick pan, pour a big spoon batter to the centre and spread lightly. Allow it to cook until holes have formed. Flip the appam and cook on the other side for 2-3 minutes. Serve hot with Veg Stew. 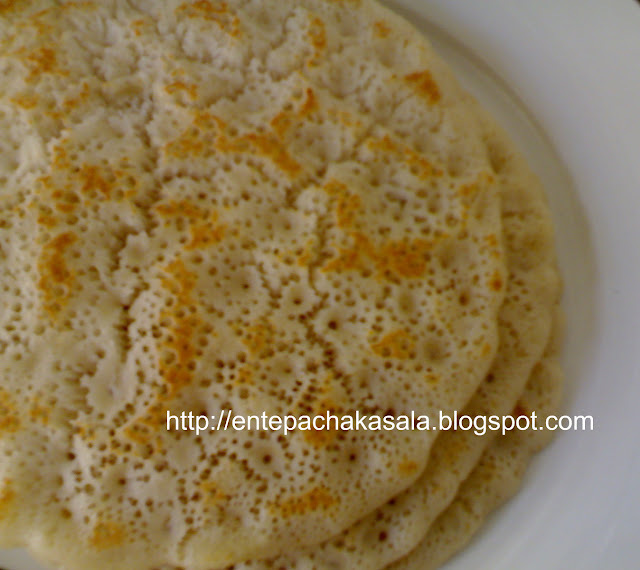 Looks delicious.. Like to have this with chicken curry..
Vellayappam looks really good. nice with stew. 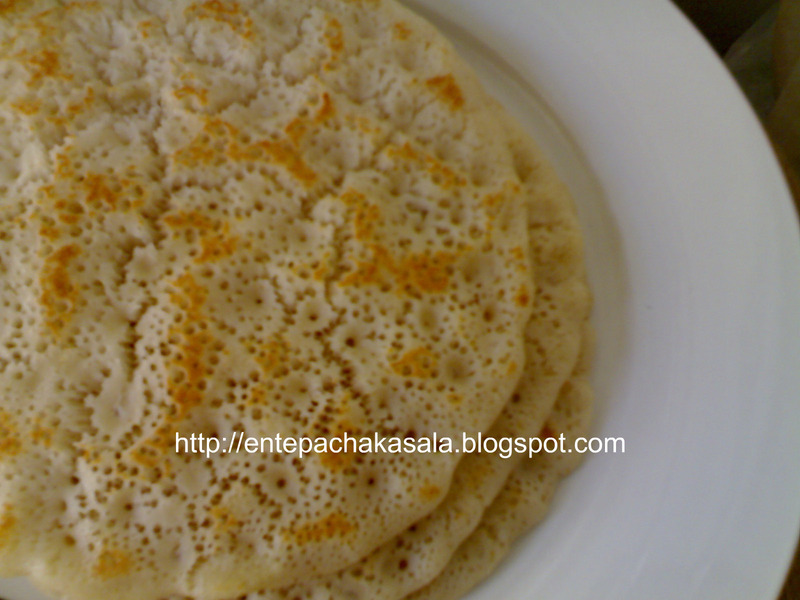 Looks really good..delicious appam..will try this one. Perfect combo for nada chicken curry..Loved it Jaisy.. These pancakes look delicious and so fluffy.Thanks for dropping by simply.food.Your visit and comments are very much appreciated.Following your blog. thank u all beena njan kottayamkari anu.